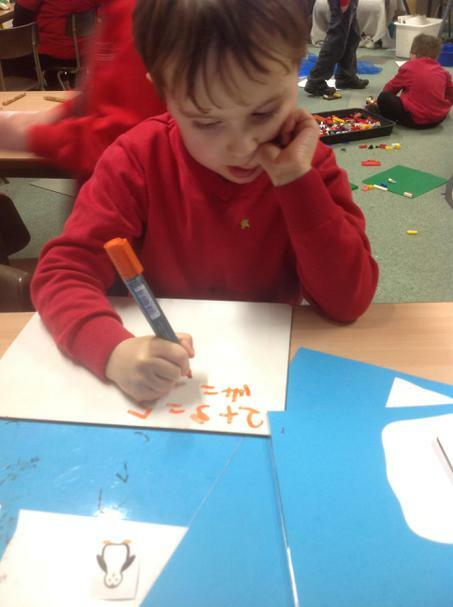 We enjoy our daily Maths sessions. 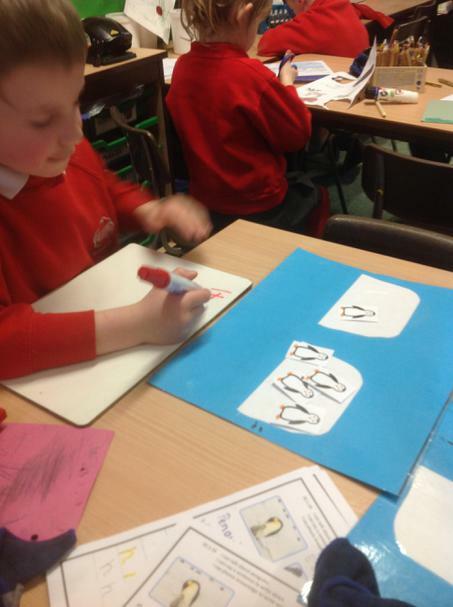 We like practical maths challenges. 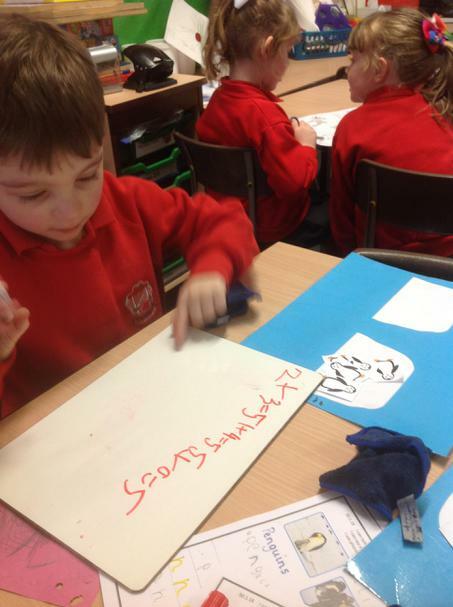 They help us to learn in a fun way. Weighing. Is it heavier or lighter? 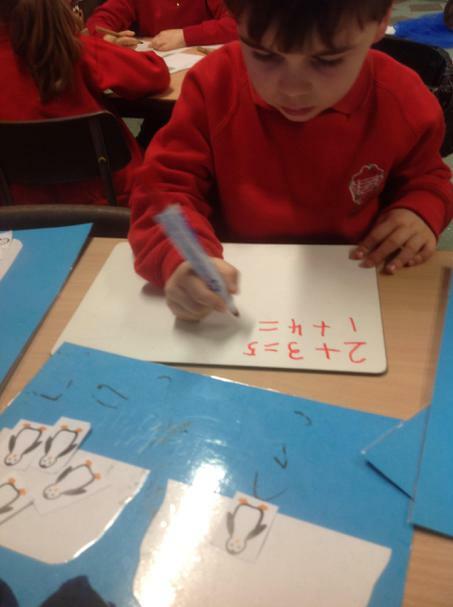 I can count in 2s. Measuring length. Which is longest? 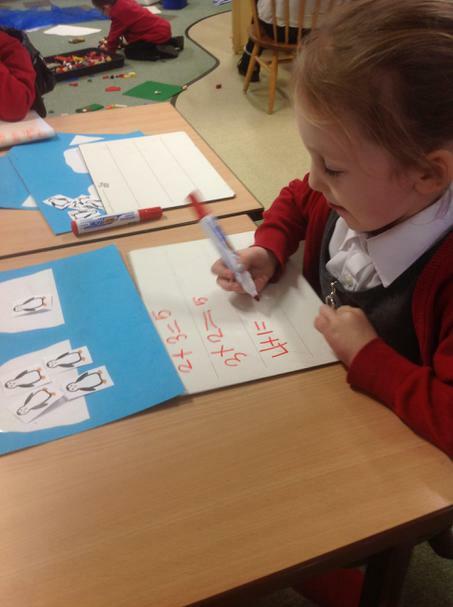 In Maths we have been learning about all the different ways to make the number 5 and how to write them down. 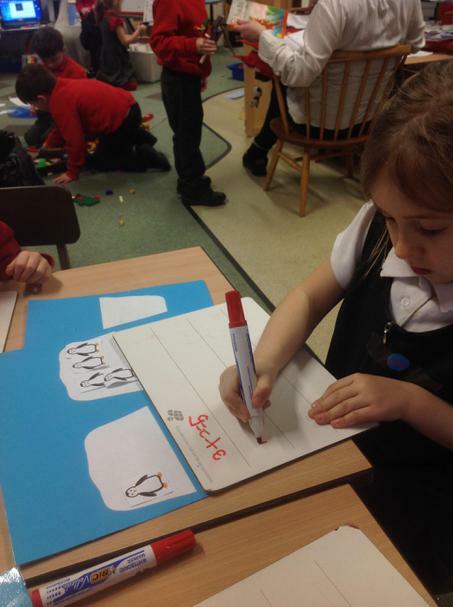 All the children worked really hard counting all the different ways to make 5 with the penguins and then were able to write down the correct number sentences.